Little's Hair Brush and Comb keeps your baby's hair neat and tidy. The Hair brush has soft nylon bristles and the comb has rounded edges on teeth to ensure that baby's tender scalp is not hurt. Soft nylon bristles that is tender on baby' skin. 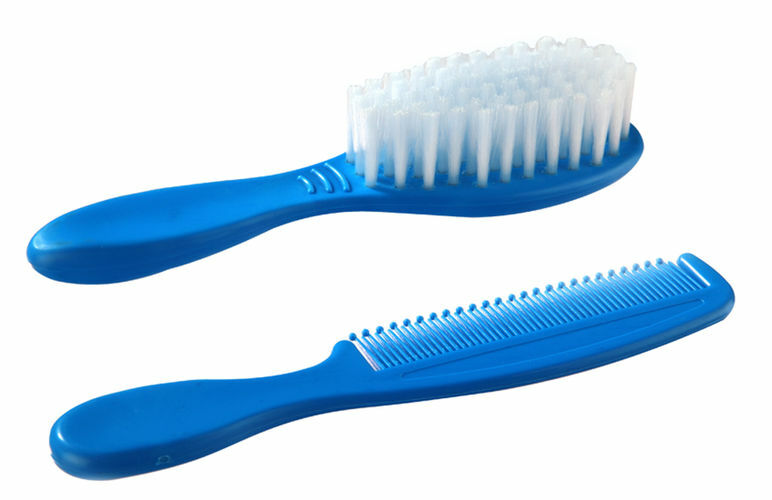 Comb has rounded tips on the teeth ensuring no cuts or scratches on baby's scalp. Easy to grip handles does not let them slip from hand.